I never could find cute comfortable skirts to wear when I was pregnant, at least not that I could afford. So I decided to make my own and sell some on Etsy for other mommy’s wanting to be stylish and comfy while pregnant. For those mommy’s handy with a needle and thread, here is a mini-tutorial for you to make your own. 1. First you need to start with a pattern or make your own. Look for a simple a-line skirt. A great book is “Sew What: Skirts”. This will tell you everything you need to draft your own pattern. Since we’re making an elastic waist maternity skirt, it’s even easier. You basically need three measurements: your waist (where you want the skirt to ride), the widest part of your hips, and the length you want the skirt to be. 2. Your waist measurement will be your knit fabric and elastic measurement. Don’t add a seam allowance to it. You can also just take the knit fabric and wrap it around as tight as you’d like and use that as your measurement. Don’t forget to leave room for baby and add an inch for seam allowance. All seam allowances are ½”. 4. If you have a pattern: There should be two pattern pieces (if there’s more, you’re on your ownJ). Take one of them, it doesn’t matter which. You will be cutting several inches off of the top of the pattern. Mark the part of the pattern that is equal to your widest hip measurement plus at least 1 1/2 inches. You need the extra room for ease and seam allowance. I’m really not a pattern drafting master, so if can consult a book, so much the better. Cut ½ inch above that line. Do the same with your other pattern piece. 6. After you’ve prewashed and ironed your fabric, cut one back panel and one front panel from your outer fabric and your cotton muslin lining. I usually cut it so that the front gently curves to be longer in the center front than the back. That way, when your belly grows and pulls the front of your skirt up, it won’t end up a lot shorter in front. 🙂 I’d guess it ends up about an inch longer. 7. Cut a rectangle of knit fabric 7” by the length of your waist. If it stretches one direction more than the other, make sure you cut it with the stretchiest way going lengthwise, so it can stretch around your waist. 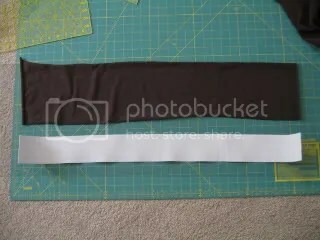 Cut a piece of elastic equal to your waist measurement. 8. 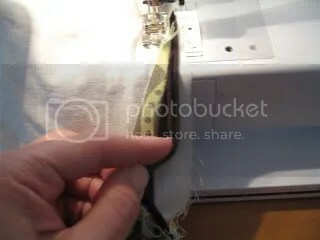 Sew elastic into circle, securing it by sewing several times. Sew the loose edge down too, so it doesn’t rub. 9. 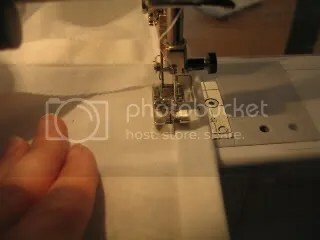 Sew the right sides of the short ends of the knit fabric together. You’ll have a circle. 10. Take the knit circle, wrong sides together. Wrap it around the elastic, so that the elastic is inside and the right sides of the knit are facing out. Sew the two edges of the knit together, trying to avoid catching the elastic in the seam. Use a zigzag stitch or whatever stretch stitch you like to use. 11. Sew the side seams of the front and back skirt pieces together, right sides together. Repeat with the lining fabric. 12. Press all seam allowances. 13. Take the outer skirt and mark the middle and back. I use pins. 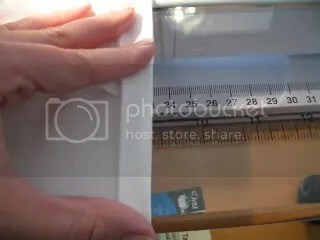 Then mark halfway in between these measurements. The sides are already marked for you, by the side seams. Do the same with the lining and also the waistband. 14. Take the outer skirt, right side out. Take the waistband and place it upside down around the top of the outer skirt. Line up the back seam with the middle back of the skirt. 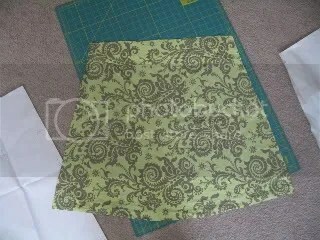 You should have the top edge of the skirt and the unfinished edge of the waistband lined up. Match up the sides, front and all the in-between markings you made. Pin in place. The waistband is smaller around than the skirt, so don’t be surprised bu that. 15. Take the lining, wrong side out. Match up the markings on the lining with the skirt and waistband. 16. Sew all four layers together, using a zigzag. Gently stretch the waistband to fit the skirt as you sew. 17. Make sure the hem is hanging straight and is the length you want. 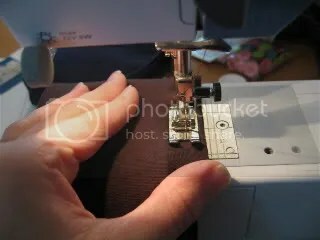 If you made the front longer than the back, keep this in mind when hemming. That way, you won’t be looking at it and wondering what happened! 18. 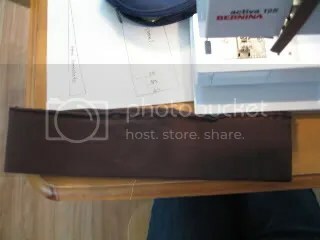 Press the bottom hem ¼”. Press again ½”. Double check to make sure it looks good and is the length you want. Sew just next to the edge of the part you pressed. I use an edge-foot to get a nice straight line. You could also do a blind-hem, if that’s what you prefer. Repeat with the lining. 19. Iron and admire your handiwork. You now have a lovely skirt that will hopefully get you through many months of pregnancy. Please let me know if there is anything I can do to improve this tutorial. What a great tutorial! If I post about (and link to) this tutorial and the happy birthday banner tutorial from my blog, would it be okay for me to include a picture of each? I like to blog about great tutorials/patterns/ideas that I find online so I can remember and come back to them later, and so I can spread the word about great ideas. Awesome tutorial!!!! I have that same material & made a very simular wrap skirt that is made so it can also be worn for maternity 🙂 great minds think alike. YOU ROCK! Very cute! I’m not pregnant but it seems like it would be comfortable pregnant or not! Skirts for me are on my to do list. So won’t the hem be higher in the back than in the front? Especially in the later months. Or is that only for those of us who are well bless behind? Oooo, I LOVED wearing skirts when I was pregnant! I’m bookmarking this for my next pregnancy! I’m sewing some summer maternity clothes for my daughter-in-law. As a banker, she needed professional outfits which cost big $$. So, I’m making her some cheap ’round the house outfits to fill out her wardrobe. This skirt will look lovely on her! Thank you! Thank you for the tutorial. I saved it for my daughters future babies. In the picture it looked extra short but maybe that’s just the way it showed up. Okay, how cute is this? I’m done with my baby bearing days… so how about a skirt for a no longer in shape mama whose body is the by product of four very large babies? Sounds good and comfy to me! I love this. I work with a lot of pregnant women and this will be a nice present. Also, I love “Sew what Skirts” book, too! RAD! how handy as I have 3 pregnant friends who could certainly use a skirt! Forgot to say thank you…Thank you! Oh my gosh, thank you SO MUCH for this!!! I am 6 months pregnant and in desperate need of more skirts, love the air conditioning they provide 😉 I’ve been looking everywhere for a tute on how to make a mat. skirt. You rock! Oh man, I just had my 4th and last baby (he’s 16 weeks old). I would have loved to have a skirt like this. I second miranda’s comment though. oh! 4 days too late! I just delivered my baby, shux. I love the skirt though! 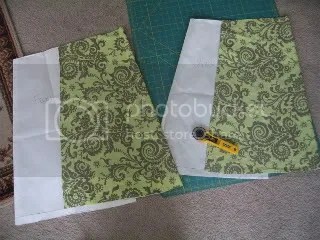 I have been cooking up a maternity skirt pattern in my head but am on bed rest so not allowed to use the sewing machine. My plan is to hand stitch two pieces of cotton cut on the bias and hope it will accommodate. My inspirations is a similar such skirt I tried on when not pregnant and loved how it could fit my large hips (I am very curvy). It was very cute and very comfortable with no elastic (no elastic at 34 weeks pregnant could pose a problem though… hm). I actually had to fold over the top (which was fine) because I believe, like most clothes, it seemed to be made for a less curvaceous body-type. Thanks again for the tute! I made my first (of many) skirt on Friday night. I LOVE IT!!! You can see pictures of it on my blog. This is a great tutorial! One question, where is the best place to measure for the waist measurement? Thank you very much for this tutorial, I was just looking for something like that, however I don’t remember how I got here on your blog! Thank you very much! I made some skirts and linked to your tutorial! I wish I had seen this tutorial when I was pregnant. I would have had an entire wardrobe of these skirts! Thanks so much for the tutorial, you saved me from having to make my own! I’ll be using this a few more times over the next few months, I’m sure. Thanks a million for this skirt tute. I am 21 weeks along this skirt will be perfect. I plan on making this skirt using the same cute white pique fabric with pink and green butterflies that I am making my darling daughters summer dresses with too. Thanks again. Hello! I’d like to contact you about featuring your tutorial on the Sew,Mama,Sew! blog but I can’t find your email address. Could you email me for details? This is perfect, just what I need. I’m sewing simple A-line skirts with an overlay for the bridemaids in my daughter’s wedding (in 2 1/2 weeks). One of the girls is about 12 weeks pregnant with twins and “growing” quickly. I’ve waited until the last minute to make her skirt and this is a perfect way to adjust the pattern for her. I LOVE your blog! sucn great tutorials and ideas! I linked to this and a few others! LOVE this idea… a little later this month, I’m doing a list of maternity sewing… is it allright if I link then??? This tutorial is saving my pregnant belly from the horrid tents at Target this summer. I have a question: In #4 you say, Mark the part of the pattern that is equal to your widest hip measurement plus at least 1 1/2 inches. 1 1/2 inches how? in the width so the hips are bigger or in the length, like add 1 1/2 inches to the amount you cut off? Thanks! Just made one of these in about 45 minutes. Perfect tutorial! Thank you!! Ahh – wish I had this when I was pregnant!! Or maybe I will be again one day! Great tutorial! Just made 2. A little wonky, but I think I will improve!! The ladies at Motherhood Maternity were very impressed when I went to get coordinating Ts. Wow this is great! I am only 5 wks along, but this being my 3rd I know to plan ahead! I will more than likely be making several of these. However, may I have the link to your Etsy shop? I looked on there for maternity clothes and didn’t find much of anything. What a wonderful tutorial….one that I wish I had earlier 😉 But Im sure I can make a friend hapy by making one. Cute blog! Thanks! You don’t have to be pregnant, really. They are also called “Yoga Skirts” and they are super cute and comfy! I made this skirt for myself today. I’m 6 months along with my third & this was an ideal pattern for me. The heat of summer, pregnant women & shorts just don’t mix in my opinion. I love skirts & dresses…..especially in my current condition. This was so easy! I managed to make, start to finish, while my two children napped this afternoon. The only thing I omitted was the 3″ elastic. I just kept my knit taut while I sewed. I’m sure I’ll make another and add the elastic…..I just didn’t have any on hand for this one, but didn’t want to wait to get some in order to do it! Thanks for the great tutorial!!! I’ll be linking your site to my blog tomorrow when I post this! Thanks again! Thank so much! It’s so hard to find maternity patterns for an inexperienced seamstress. This was really clear. I did buy the book you recommended, which helped as well. I made this skirt yesterday using solid black twill. I’m 6 1/2 months pregnant, and this could not have come at a better time. Now I can wear any of my maternity tops with a skirt again! Great tutorial. I found that mine rides below the baby belly, so I didn’t need to make the front longer; in fact, I could have made it shorter than the back, but I made them both the same. I have a picture on my blog. Thanks for this tutorial!! I’ve been trying to find a decent pattern so gave this a shot, and now have 3 skirts to get me through to December!! Where do you buy 3-inch elastic? Also…where is the best place to measure for the waist measurement? Below the belly? I bought it at Joanns. That was a couple years ago, though. Measure wherever you want to wear it. I would wear it under the belly, so that is where I would measure. I actually prefer just using cotton lycra fabric and that’s all I’ve made for the last year or so. You cut a piece about 31″ for a medium ( couple more for large, a couple less for small) by 14″. Make sure the stretch is going lengthwise. Sew it just like it the tutorial, minus the elastic. It’s super comfy. Thanks for the tutorial! My first attempt was too poofy at the hips because I allowed too much extra. The second turned out perfect! I appreciate you saving me money! 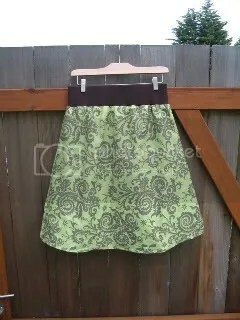 I just wanted to let you know I’ve linked to this project on AllFreeSewing.com. As the editor of the site, I think your project is great and our readers will love to make it. Thanks and please contact me with any questions. Thanks so much for sharing!!! I don’t have any summer maternity clothes and this is perfect! Instead of buying clothes I can make light, cool skirts. 🙂 I have a question about seams tho. When I cut the bottom to angle nicely it creates an uneven edge to seam. My seams always turn out frumpled and uneven :S Am I doing something wrong?! I meant the hem… 🙂 my hems need help!!! I normally turn it over about a 1/4″ and then a 1/2″. Press it very well. I use an edge foot, which I find very helpful. I would definitely recommend it. I stretch it slightly if neccessary as I sew….it usually is in at least some spots. Just keep stopping, adjusting..practice makes perfect! 🙂 Give it another good press to smooth out any wonky spots. I hope that helps a little. fullofstitches.com Blog » Maternity skirt. 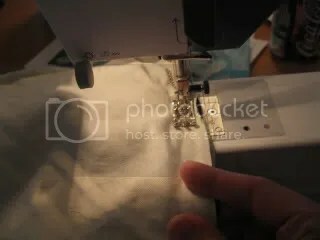 wishologie.com » Blog Archive » Do you sew? Make or Refab your own maternity skirt!